We’ve all learned this one in school, right? “My very excellent mother just served us nine pizzas.” The planets get further apart the further you go out from the sun, therefore Venus is closer to Earth than Mars, or indeed any other planet. The problem is that only at certain specific times is that true, according to folks at Physics Today. While “no other planet gets nearer to Earth” than Venus, three researchers wrote in a Tuesday paper, “just as often, the two planets are at their most distant,” at which time they’re both the distance of their own orbit plus the orbit of the other planet from each other. When they’re closest, Venus and Earth are only 0.28 astronomical units (AU) apart, where 1 AU is the distance from Earth to the Sun. However, Mercury, the closest planet to the Sun, whips around our star every 90 days, whereas Venus takes 225 Earth days, and Earth, well, 365 Earth days. That means that Mercury is in opposition to Earth more often, but also that it’s at its closest point to Earth more often, too. Using some fancy math this social sciences major doesn’t understand, the folks at Physics Today were able to prove that Venus’ average distance from Earth is 1.14 AU, and Mercury’s is 1.04 AU. 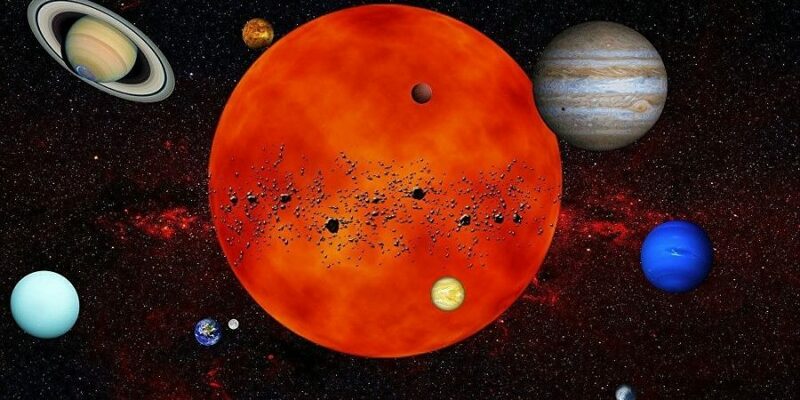 Here’s what’s really going to make your blood boil: “Mercury is the closest neighbor, on average, to each of the other seven planets in the solar system,” according to the researchers. 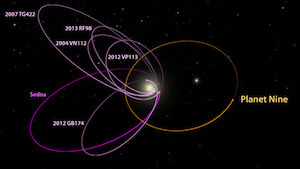 That’s because even though all the outer planets are very, very far away from the Sun (and from Mercury), they’re also very, very far apart from each other, too, being arrayed all around the solar system, since they orbit at different speeds. For example, Mars takes 1.8 Earth years to orbit the Sun; Jupiter takes 12 Earth years, while Saturn takes 29 Earth years, Uranus a protracted 84 Earth years, Neptune 165 Earth years and Pluto a seemingly eternal 248 years, according to Universe Today. So the same principle applies to them and Mercury as it does to Earth and Venus: Their average distance to Mercury is roughly their distance from the Sun, while their average distance to other planets is often very much more than their orbital radius. Just make sure you’re outside haymaker range when you tell your friends that!